I was planning on writing a post about how nervous and anxious I was in the weeks leading up to my start date. Turns out all that nervousness and anxiety was for nothing. Tuesday afternoon I stepped onto the trail and none of the things that I was nervous and anxious about mattered anymore. It was here. I am finally doing this. Sydney and I took a nice slow road trip to Georgia. We made stops with a friend of ours in West Virginia and did a two-day trip through the Dolly Sods Wilderness. 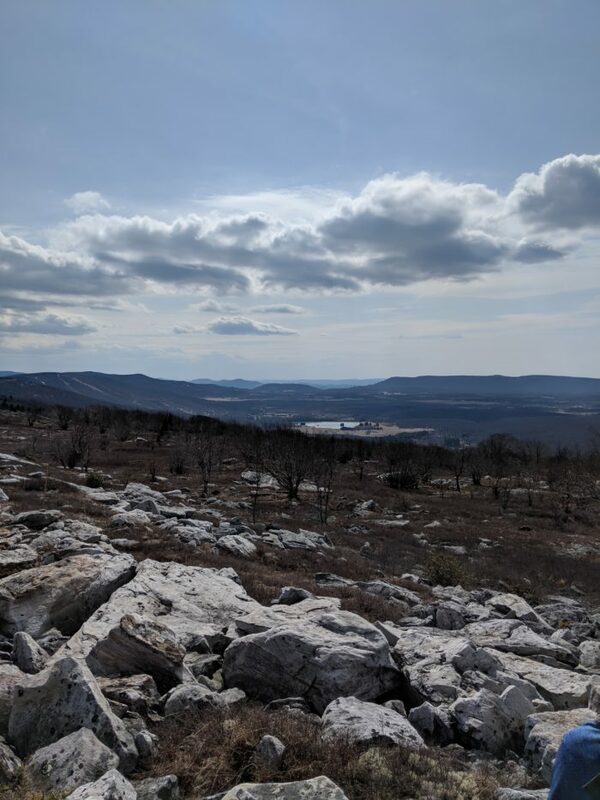 Quick side note: If you love hiking or backpacking and want to experience a truly beautiful wilderness area, go check out Dolly Sods; it won’t disappoint. After Dolly Sods we continued on to Nelson Rocks and did the via ferrata, then continued south to North Carolina where we drank wine with Llamas before heading into Georgia. After checking in at Amicalola Falls and getting my hiker tag for my pack and sitting through the brief LNT class, we took the drive up to Springer Mountain. Yeah, I skipped the Approach Trail. I’ll go back some day and do it, though. With thunder off in the distance, Syd and I took the short walk from the parking area, a mile-ish south to Springer Mountain, the Southern Terminus of the AT and the start of the trail for NOBO hikers. With the thunder getting closer and a light rain beginning to fall, we took some pictures and then turned around and started north. Once back to the parking area the rain was beginning to get heavier and the thunder more frequent and closer. After sitting in the car waiting for the heavier rain to pass through, and after a few more rounds of teary-eyed goodbye kisses, it was time to start walking north. As I started walking and disappeared into the fog and rain, Sydney pulled out of the parking lot and I immediately began sobbing. Sobbing because everything hit me at once. After starting off in the rain and probably some hail, the first night cleared up and ended up being beautiful. I ended up sleeping at a shelter that was filled with NOBO hopefuls like myself and we spent the night getting adjusted to that awkward first few days of figuring out trail life. The adjustment hasn’t been terrible. I’ve gotten my morning packing up and getting water routine and my evening setting up my tent or in a shelter, getting water and making dinner routine down pretty well, for now. I am still trying figure out how to to structure my eating. I’m not a huge fan of sitting down and eating a full breakfast. I usually grab two Clif bars and start walking, stop for a snack break after two hours, and continue on until I want to eat lunch. I then do the same thing in the afternoon, stop for a post-lunch snack break and then dinner once I set up where I’m staying for the night. I really underestimated how much time I would be thinking about food and water. As time goes on, I know the amount of food I’ll be eating with meals and breaks is going to go up quite a bit. Before I left for Georgia I had a series of insulin pump failures that all happened during physical activity, like backpacking. Naturally this left me felling pretty nervous and anxious wondering if I had a bad lot of pumps or if something else was wrong with them. Fortunately there have been no issues so far and my Omnipod and Dexcom have both been working great. My blood sugar has been OK. It’s been intentionally running higher than normal at night until I can fine-tune a few things. The first few days I found I was going low after just an hour or two of exertion. I now have a lower basal rate at .10u/hr during the day, a slightly more increased one at .15u/hr in the evening, and up to .25u/he overnight. So far this has kept me from having the post-breakfast low and has lowered my overnight and early morning BG. I just wanted to get a quick update out for those following along. I’ll have more about the people, trail life, and my progress in the next post soon. Hi everyone! 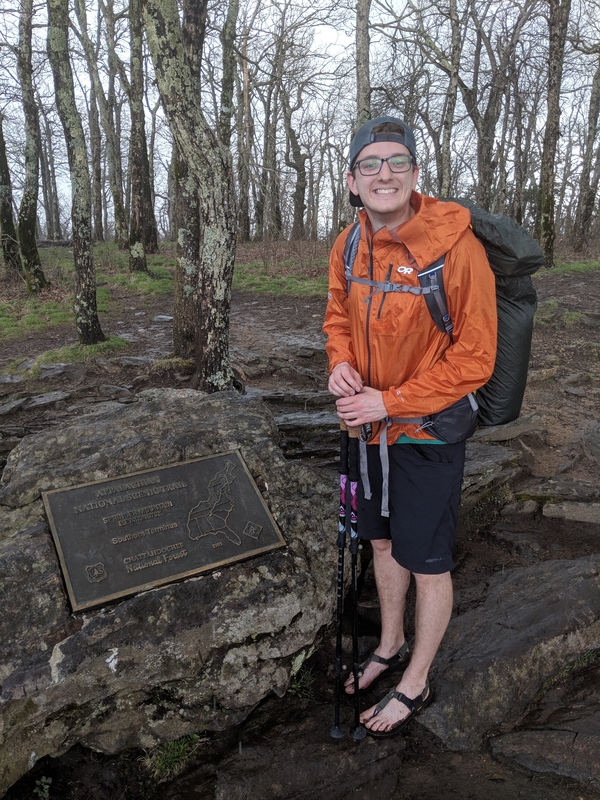 I'm David and this April I am setting off on a NOBO thru hike of the AT. I am from beautiful Charlottesville Virginia, right in the backyard of Shenandoah National Park. When I am not outside seeking some adventure, I can be found working the friendly sky's as flight paramedic on a medical helicopter. Fun fact about me; my pancreas doesn't make insulin and we have a love/ hate relationship, however I have a great insulin pump and glucose monitor that pick up the slack. I am looking forward to sharing my thru hike adventure with y'all (hows that for a southern transplant). So come follow along as I walk through the woods and write about life on the trail, thru hiking with diabetes and occasionally reassuring my mother that I am alive and well. You are an inspiration! I am so enthused for you! Be safe, have fun, and communicate frequently with your mom!